Get YOUR piece of the Bergie experience! She doesn’t look like she’s shedding. But she is. Right at this very moment. She’ll get up and it will look like she had puppies. 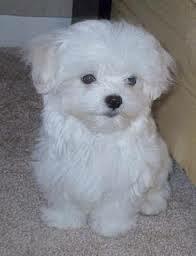 Sample chubby maltese. *Eyes, nose & paws not included. THIS DOG sheds. Every other day I vacuum up the equivalent of a chubby maltese. Today as I hunted and gathered handful after handful of abandoned fur, I thought of all my friends who would just love to have a dog, but can’t. Then I had an Oprah-esque, a-hah! moment and (like Oprah) realized that I had the answer to the problems of the world! Introducing my new business: Fur Friends With Benefits! All the ambiance of a pet without the pesky commitment! For a nominal fee, subscribers will be sent a weekly bag of freshly-shed fur (available in an array of sizes depending on what size dog you’d like to pretend to have). Each delightful pile of fuzz provides oddles of opportunities to partake in the dog-ownership experience WITHOUT having to deal with walks, poop, or trips to the vet! -Spread the white fur over your dark carpet then TRY to vacuum it all up! -Let it waft across your kitchen and embed itself in casseroles, drinks and salads! -Tell it to sit, stay, or even roll over…then enjoy the fun as it ignores you! Friends, this is a once-in-a-lifetime opportunity to experience dog ownership without the actual dog. PERFECT for commitment-phobes! You can name your Fur Friend, love it for just a few days (or even just a few hours) and then THROW IT AWAY without guilt or remorse! You can leave it home alone for DAYS at a time! It’s the ideal solution for dog lovers who fear permanency, intimacy, or responsibility! Now is the chance to get that “Wow, you must have a dog!” smell throughout your house at a low introductory cost. Really, it’s an investment! Lines are open now, so call right away! The first 20 callers WILL ALSO RECEIVE a small dog toy, at NO EXTRA CHARGE! Know what it’s like to toss a squeaking piece of rubber across your home while squealing, “Go get it puppy! Go get your toy!” with no discernible reaction from your pet! 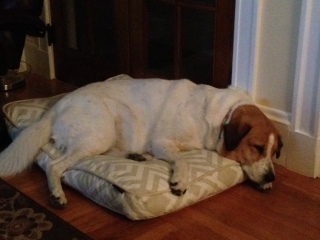 This entry was posted in Home, Stuff & Things and tagged Bergie, THIS DOG on September 15, 2014 by Trish Ryan. 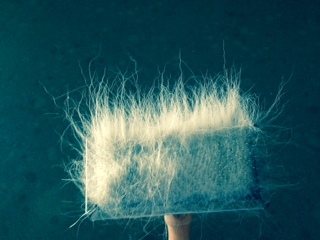 I used to work with a woman from Russia who spun dog hair into yarn with a little wooden spindle. She showed me some baby sweaters that she said were at least 10 years old. They looked and felt like beautiful, soft cashmere!